400 individually controllable motors, with a 6mm video tile on the bottom of each one. 15′ of travel of each motor. All dmx controlled. All the structural columns have been clad in video, a new video proscenium. Video and motors were built by AG production services in Las Vegas. We worked very closely with them to bring the design of the chandelier to a reality, in a very short timeframe. The back wall of the stage is a blended projection mapped detail. All new lighting equipment from Robe and Martin has been installed. The motors were custom built for this project and all of the components were fabricated per spec. We chose Robe pointes for their powerful beam effects and clean optics, Robe Spiiders for the saturated colours and large zoom range, Robe Spiikies for their special “moonflower” effect, Martin Sceptron/VDO LED for their powerful output and great CRI, and Martin Rush strobes for their low power consumption and great output. Additionally, we are using MDG hazers, MA Lighting console, Resolume video software and a custom built Kryogenifex LN2 system. LIV is now a fully immersive experience. With the ability to raise and lower the Robe Spiider (this is what they call the 400 motor chandelier). 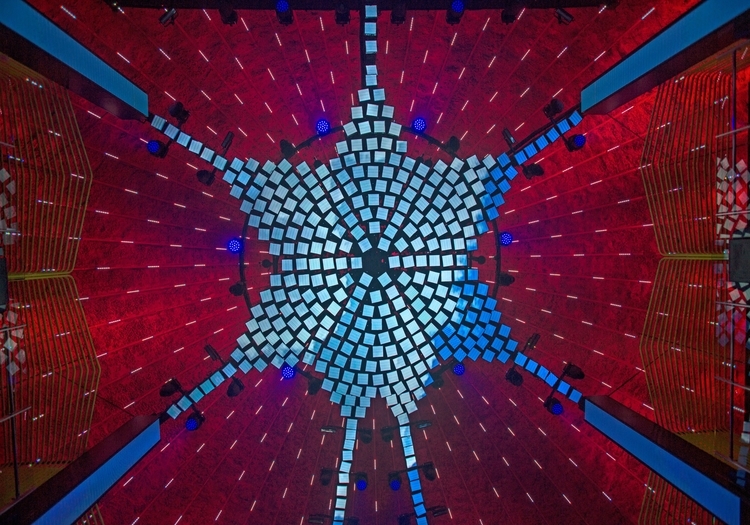 We can bring the ceiling video detail down to within 15′ of the dance floor. The effects from the motors are smooth and undulating… creating a wavelike motion that is awe-inspiring to even the most versed club goer. The balustrade behind the DJ booth is now clad with video and offers the audience a much more appealing view when facing the DJ. The Kryo system has been expanded to multiple heads in the ceiling and the DJ booth, and fully envelopes the club when engaged. Wherever you look, there is a new experience; the video system has been expanded throughout the venue and we are running 7HD outputs. The lighting system is appropriately laid out to give maximum coverage for club nights, stage lighting and special events. We were given 8 weeks from start to finish. This included disassembling the previous system, welding in new steel, new electrical, and fabricating all the video tiles and custom motors. This project should’ve been at least 6 months. However, it was no less than a miracle and a lot of overnights to get this done. MMG, iCrave, Turnberry/Fontainebleu and all the contractors that worked on this job went above and beyond to make this happen. 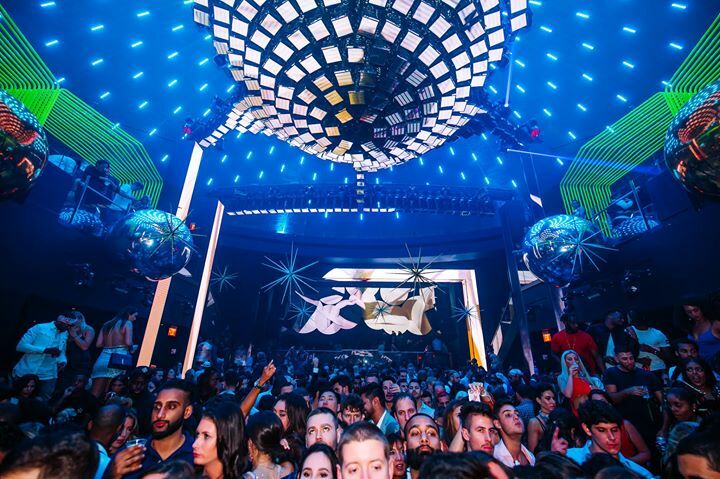 The operators of this club – MMG, head by Dave Grutman were instrumental in achieving this goal. Also, the main design direction came from iCrave Design studios in NYC – lead by Lionel Ohayon. Working with professionals of this caliber is a privilege. We are excited to have been a part of such a fantastic project. 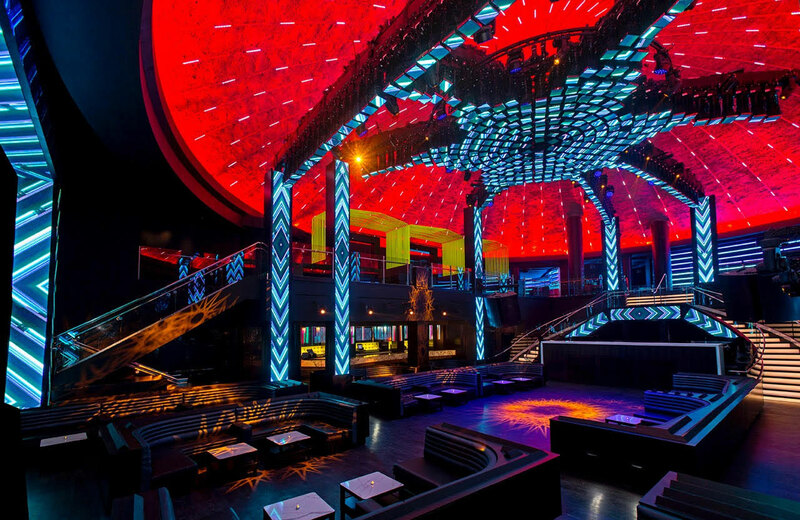 LIV nightclub has been the most successful property on Miami beach for 8+ years… and now with this new system installed, they are ready for many more and to solidify their tenure on the beach.